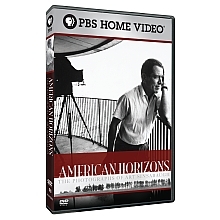 American Horizons: The Photography of Art Sinsabaugh , music by Cary Boyce with Aguavá New Music Studio). Winner of three Emmy Awards, Harp Dreams is the PBS special about the U.S. International Harp Competition. Lux (Light), the winner of the first Rockefeller Memorial Chapel Commission Competition, premiered there December 5, 2010, directed by James Kallembach with organist Thomas Weisflog. See (and hear) the live performnace here on Youtube. Thanks to the Indiana Arts Commission for supporting this project. Steve Reich in an open discussion with moi at the 43rd Annual Indiana State University Contemporary Music Festival on November 18th, 2009. (He’s the guy with the hat.) Listen here! For a high-resolution DVD, contact Aguavá New Music Studio. 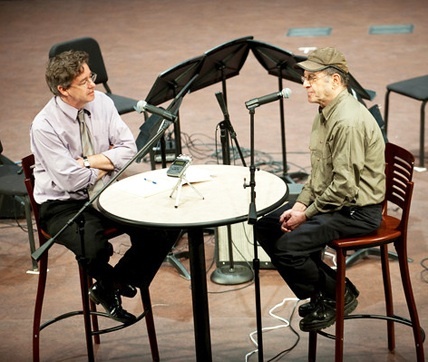 NEW: Kosmos, text by Walt Whitman, performed by the IU Jacobs School of Music Contemporary Vocal Ensemble. SSSAAATTTBBB, from the Itineraries of the Night CD, Aguavá New Music Studio and members of the Indiana University Contemporary Vocal Ensemble, Carmen Helena Téllez conducting. Available on Aguava’s Itineraries of the Night CD. 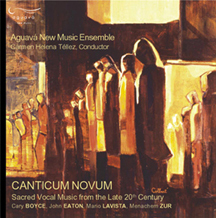 SSATTB, from the Canticum Novum CD, Aguavá New Music Studio, Tempus Fugit International Music Festival, Tel Aviv, 2000 (live recording). 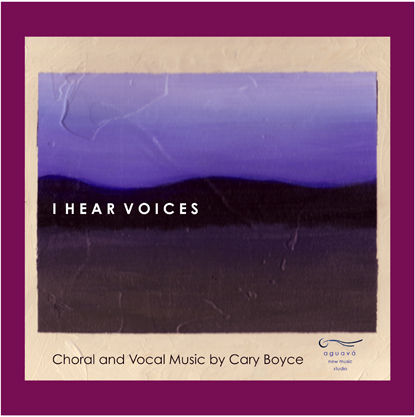 SATB Double Chorus, South Bend Chamber Singers, Nancy Menk, conductor, December 2006 (live recording). 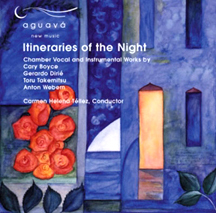 From the oratorio, Dreams within a Dream, the Bloomington Chamber Singers and Orchestra; Susan Swaney, soprano; Gerry Sousa conducting; 2003, recording taken from the live premiere, availaible on the Dreams within a Dream CD. 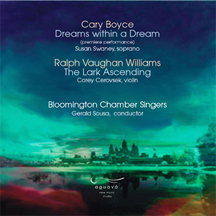 From the oratorio, Dreams within a Dream; the Bloomington Chamber Singers and Orchestra; Susan Swaney, soprano; Gerry Sousa conducting; 2003, recording taken from the live premiere, available on the Dreams within a Dream CD.